Shortly after Twitter launched its Vine video product on Thursday, users noticed that the “find friends” feature connected to Facebook wasn’t working, and it became obvious the two companies were at odds over Twitter’s new “Instagram for video attempt.” On Friday, Facebook came out and provided further clarification on its policy toward third-party apps, stating that it wants to grow a third-party developer ecosystem, assuming those apps share data back to Facebook and don’t compete with its core product. We have so much to learn from these strategic partnerships. Moving forward the ability to collaborate will define what is…sustainable. Surprising basically no one, Apple(s AAPL) CEO Tim Cook made time on his trip to China to meet Thursday with his company’s most critical non-partner: the chairman of China Mobile. China Mobile is the largest carrier in the world’s largest market for mobile phones: the company counts 650 million subscribers. But while its competitors China Telecom and China Unicom have partnered with Apple to sell the iPhone, China Mobile remains a holdout. 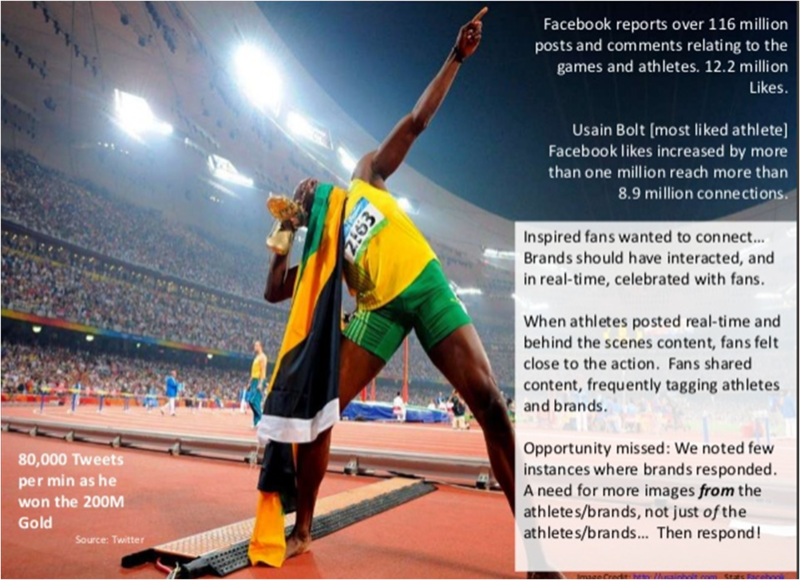 I am happy to have a chance to share this quick review of real-time media and The London Games. During the summer, I worked with Communica to challenge the idea of “engagement”. We looked at how people wanted to connect and what they wanted to share. We also learned a few lessons!